The Amur tiger is on the IUCN Red List of Threatened Species. A tigress spotted in the Solontsovy settlement in Russia’s Far Eastern Region of Khabarovsk was picked up and transferred to a local wildlife rehabilitation center, the feline predator was later named Tikhonya (or Quiet), a source in the regional Ministry of Natural Resources told TASS on Nov. 3. "On Nov. 3, a special group caught a tigress aged around 3-4 years. The large feline named Tikhonya was temporarily handed over to the Utyos wildlife rehabilitation center," Deputy Minister of Natural Resources of the Khabarovsk region Vasily Tolstykh stated. According to him, while at the center, the animal will undergo a detailed veterinary examination. In addition experts will assess her capability to hunt in order to determine her future. This tigress is among the various predators entering human settlements lately, whom wildlife experts from the Primorye and Khabarovsk regions have had to handle. "I would like to highlight the precise and coordinated team work of the special groups working on human-wildlife conflict resolution. 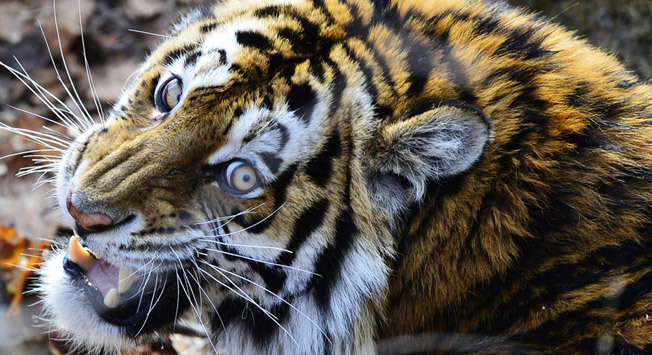 All the tigers who posed a threat to humans have been promptly captured, without being injured and sent to rehabilitation centers," head of the Rare Species Preservation Separtment of the Amur branch of WWF Russia Pavel Fomenko said. The Amur tiger is on the IUCN Red List of Threatened Species. According to 2015 estimates, there are around 480-540 Amur tigers left in the wild, with 90 percent of them living in Russia’s Far Eastern Primorsky and Khabarovsk regions.